The scale and complexity of both onshore and oﬀshore structures, whether they be drilling rigs, oﬀshore platforms, wind turbines, petrochemical and nuclear plants, football stadia or rail/road bridges, they can all benefit from a wide range of access solutions to ensure all work at height regardless of complexity is carried out safely and eﬃciently and within the agreed schedule and budget. Rope access is one of the most recognised methods of working at height. Rigmar provides safe, reliable and cost effective rope access solutions, tailored to suit the scope of work. Rigmar Services Limited is a Full Member (Operator) of IRATA (Industrial Rope Access Trade Association) and is committed to working within the IRATA international code of practice. Rope Access is proven to be a safe process of working at height, which when applied by our competent teams saves our clients valuable time and resources. 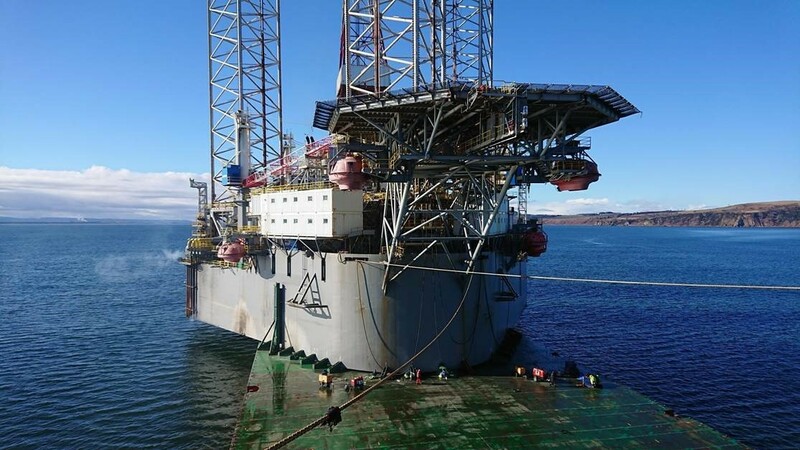 Rigmar provides a complete scaffolding service to address complex requirements, particularly in the harsh environment of the offshore energy industry. Our team has great diversity, capability and experience. Our design and engineering team applies proven industry standards, technical knowledge and experience using the latest software, including 2D/3D CAD and Inventor which allow 3D modelling and FE analysis, and structural modelling calculations utilising STAD PRO to produce detailed design drawings for temporary structures, load bearing platforms, cantilevered, suspended access, covered structures and bridges. Rigmar specialises in conventional tube and ﬁttings to deliver unique access and support structures, via our competent scaﬀolding teams. We also provide innovative lightweight, quick erect System Scaﬀolds where practical to ensure the eﬃcient, cost eﬀective delivery of services in compliance with industry standards and regulatory requirements. The QuikDeck® suspended access platform, combined with Rigmar’s in-house developed installation method, provides unparalleled ‘quality of access’ at a fraction of the installation time. Constructed in the air, or pre-assembled and hoisted into position, QuikDeck® offers a range of unique features which combine to provide platforms with specifications that exceed those of any rival product. Spaceframe® provides a compact lifting and working platform with an 8t capacity. Often deployed in combination with Quikdeck, the system can be assembled and installed in a single shift. Rigmar provides a complete design, installation and maintenance service together with the provision of tradespersons to carry out a broad range of inspection and maintenance services.